Bent Creek is the go-to trail system for the greater Asheville area, and with the deeply-ingrained mountain bike culture in the Asheville/Brevard area, and Western North Carolina in general, Bent Creek sees a ton of traffic. There are several different trailheads and ways to access the trail, and many weekends all of the trailheads are all filled to overflowing. Cars that can't fit into the parking lots line the nearby forest roads, and Lake Powhatan Campground is usually filled as well. 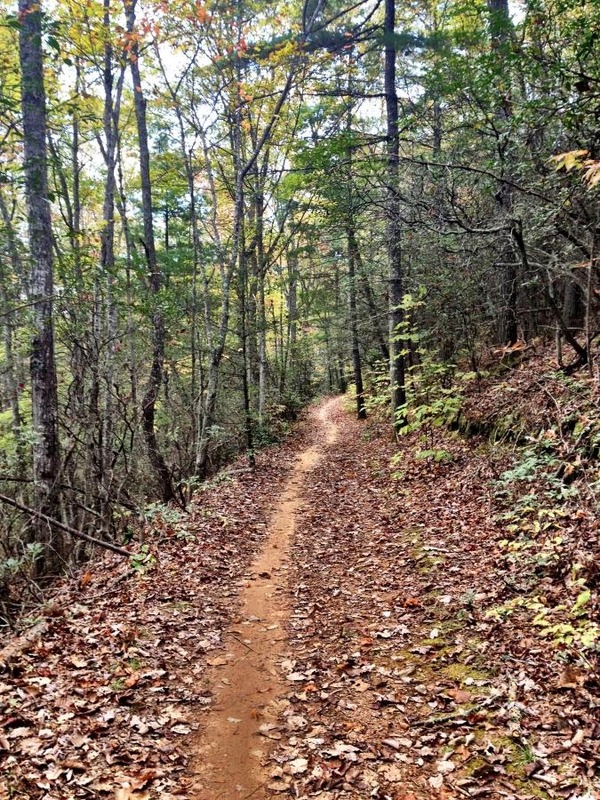 This might be the busiest mountain bike trail in North Carolina... and as you'll see if you ride here, there's a good reason for it! Read the full trail description here.